European Road and Racing strives for complete customer satisfaction! We are a unique repair facility. 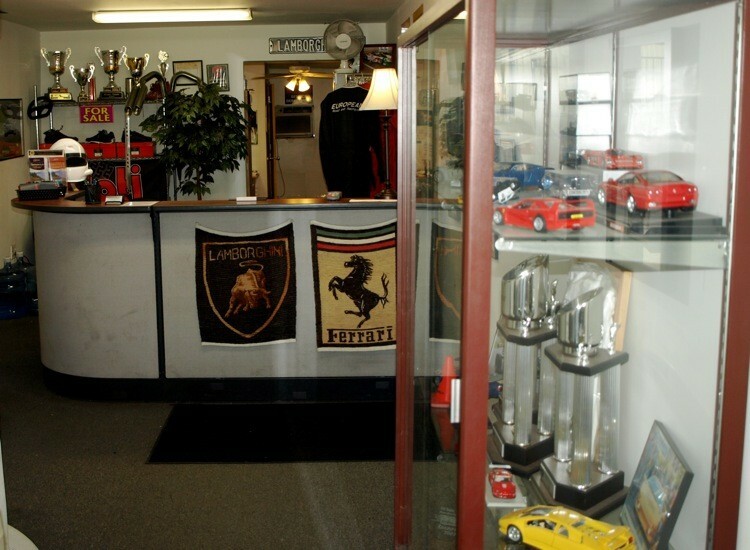 We are the only repair facility in over a 200 mile radius that performs professional race team quality work on exotic cars such as Lamborghini and Ferrari. 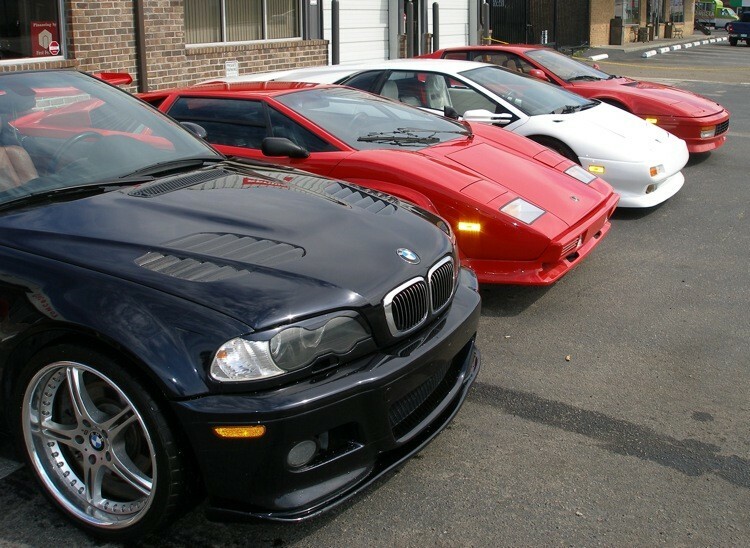 We not only work on BMWs, we also own and drive them. The same attention to detail and professional workmanship is given to your BMW. We offer all manufacturer required maintenance, repair and performance upgrades. European Road and Racing is an Authorized Dinan Dealer. Expert knowledge and skill are required for customer satisfaction, but there is more. Integrity is paramount. 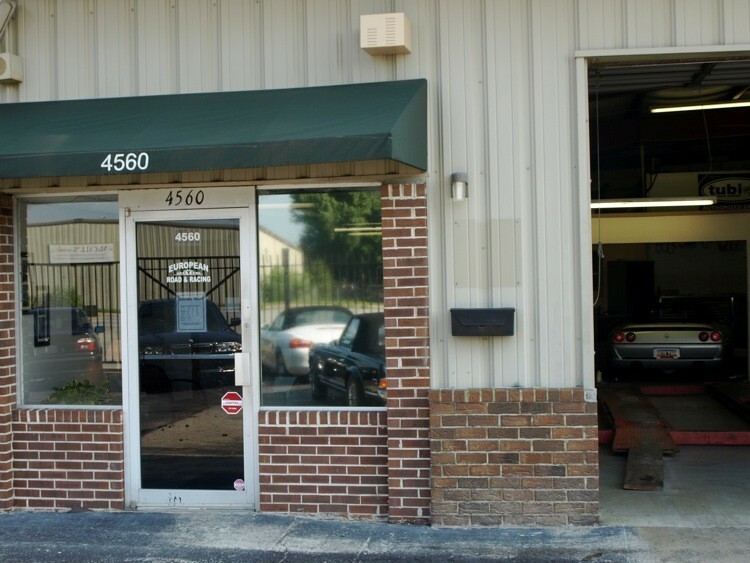 We suggest to customers the most reasonable means to repair and/or service their automobiles. Mr. Troy enjoys people as much as he does automobiles and he wants his customers to be happy with the quality of his work and the cost of his services. In the short term, this may not bring him the most profit, but in the long run a satisfied customer is invaluable. Karl and the gang at European Road and Racing are the best. They have worked on this BMW car for years and it runs perfectly. They worked on my 911, Ford Explorer and every car I have owned for over 10 years. I rate them 5 stars, a perfect "10"
My name is Randy and I own a 1988 BMW M3 (E30) I'm an avid BMW enthusiast. I've owned the car about 7 years and it has been my daily driver. It is my pride and joy! I was on my way to meet Karl's son that owns the same car (88 M3) as me. I made a stop at a gas station and my starter went out. I was about 10 mins from his shop. I called Karl and told him I needed a starter. He was able to get one for my vehicle in about 30 minutes I couldn't believe it. Seems as if it was meant to be. Luckily we got the correct starter and had it replaced in about an hour. Talk about first class treatment! My first initial reaction when I saw his shop I was in disbelief. It doesn't even appear to be an automotive shop. I would classify it as automotive museum. If there is one shop that I would ever trust with my vehicle it would be European Road and Racing. I'm very particular about certain individuals working on my car but at his shop anyone there knows how to treat it. The staff is extremely knowledgeable and super friendly. As a car enthusiast anyone would enjoy just a visit. There isn't a better shop in South Carolina, period. He will forever be the only automotive shop I deal with. Since meeting Karl I practically feel a part of his family!! He's a father to me and the ultimate car guy. You won't be disappointed with the service you receive! I recommend anyone with any european vehicle whether it's BMW or a Ferrari there isn't anything they can't work on. The most recent work done on my vehicle is a driveshaft replacement. His shop always does top notch work. I just want to THANK YOU for everything you have done for me Karl, You're the best! European Road and Racing is not just a shop. It is a petrol head's mecca to those in the Charleston/Hilton Head/Savannah area. I came across European Road and Racing via their website way before I even moved to the area and from that moment I just had a good feeling about them. Those feelings were confirmed the first time I met shop owner, Karl Troy, and the rest of his excellent team. When you meet Karl you cannot help but be moved by his story, his passion, and the way he conducts business. Speaking to him and the rest of his staff makes you feel like family because once you step foot through the doors of European Road and Racing you know you are surrounded by others that have octane running through their veins. If I remember correctly, European Road and Racing's motto was something along the lines of "Exotic service without the Exotic price." That is an absolutely true statement about this shop. I have since moved back home to New York but I truly will miss the staff at European Road and Racing and Karl. There are not many shops like European Road and Racing and the low country of South Carolina is so very blessed to have European Road and Racing as one of their local businesses. Karl and his team at European Road and Racing have serviced several of my BMW's and each time the service and quality of the work has been exceptional. From staying open late to receive a totaled track car to everyday fluid changes, the team has been there and the results are over and above my expectations. They do it right the first time. This is by far the best place I have ever taken my BMW for a repair! They are awesome! Karl, the owner, is so nice and was so knowledgeable about my BMW, I cannot say more. Thank you for caring so much. I have taking my Bimmers to European Road and Racing for the past 5 years....Excellent *****5***** Star Service. These guys will go out of their way anytime to help not only you but all of there customers. I wouldn't go anywhere else. After having owned 8 BMWs over 25-ish years, European Road and Racing is the first shop that has pleased me completely each time that I needed their help. They were attentive to details, explained everything they did, fixed the issues, gave me the car back spotlessly clean, actually fixed some minor extras free, no delays, and at reasonable cost. Outstanding shop. Very professional. My engine compartment was clean enough to eat out of thanks to Martin at European Road and Racing and his attention to detail. The work is done right at a very reasonable cost, and completed when promised. A true germ located in North Charleston.